KoopaTV: Is There a Meaning Behind Paper Jam? By LUDWIG VON KOOPA - On first glance, it doesn't have a positive meaning. Pretty much all of KoopaTV's staff seems to agree that Nintendo's only great announcement from E3 2015 was the 3DS game, Mario & Luigi: Paper Jam from AlphaDream. It's the newest game in the Mario & Luigi series, but it features Paper Mario (from his own series). So it's like a crossover of the two on-going Mario-themed RPGs, though it's tough to still consider Paper Mario to be an RPG series considering its last two releases, especially with Nintendo outright not considering Paper Mario: Sticker Star a roleplaying game. Anyway, a lot of people have convinced themselves that this is a new game in the Paper Mario series, which is wrong. It's not really a crossover, either, since Paper Mario and Mario & Luigi don't get the same or equal attention in the title: In fact, Paper Mario doesn't really even get the sub-title, because... um... "Paper Jam" doesn't exactly scream "Paper Mario"... It screams "Crap I kept the paperclip in that group of papers when I fed it into the scanner." 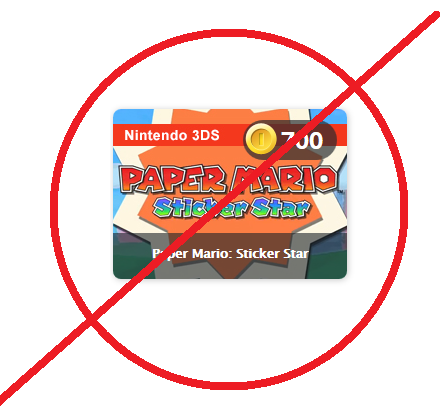 That colour scheme for "Paper Jam" directly correlates to Paper Mario: Sticker Star but none of the other box arts in that sub-series. Let's examine some of the sub-titles from the other games. We got The Thousand-Year Door, Sticker Star, Superstar Saga, Partners in Time, Bowser's Inside Story, and Dream Team. Some of those make you think, "Wow, this sounds like an interesting thing." Or maybe, "Gee, I wonder what's behind that door?" "What is a sticker star? I better find out more." Meanwhile, all of the sub-titles for the Mario & Luigi series make you think of teamwork in some way, or partners going on an epic journey. The teamwork between the Bros. (and anyone else tagging along) is central to the Mario & Luigi story and gameplay, so all of the titles relate to that while bringing in something mystical or fantastical, like sagas, time, stories, or dreams. And they all have some sort of inner meaning. Not only are the plumbers partners, but their baby selves that appear are also partners. So throughout their lives (or time) they're still partners, and it alludes to time travel. Obviously Bowser's Inside Story tells people the most important part of the game: King Dad is a feature! And you know about his story, the inside story. It's like the "inside scoop", the exclusive look into some feature in journalism. (And what you do with King Dad here IS exclusive.) However, it also relates to some of the story literally being within King Bowser's body. 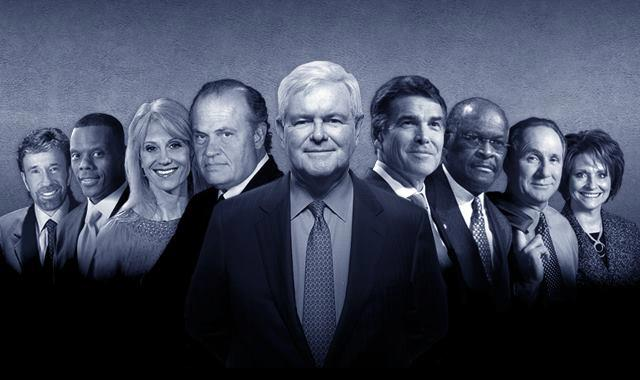 Dream Team gives you the sense that the teamwork between the bad boy plumbers couldn't get any better, like the "dream team" in your fantasy sports team (which will be unregulated if you vote for a Republican) or the dream team of Newt Gingrich's 2012 election coalition. I've shown this pic before, but this is the real dream team. Herman Cain and Chuck Norris? Super Paper Mario lacks a sub-title, but the "Super" there clearly relates to Super Mario Bros. and all of the platforming games that insist on beginning with "Super Mario". This communicates the game's platforming emphasis, unlike its predecessors. So... what the hell does "Paper Jam" communicate? I'm too busy laughing at my caption ideas to actually type one in. ...Dammit don't let that pass QA. Now, now. Jam has several definitions. A difficult situation, the aforementioned being stuck in your scanner, a programming game jam, a music session, and the jam that's made from fruit pulp. So which does Paper Jam refer to? Well, they could be stuck in the scanner after all, but what's there to scan without physical instruction manuals that people DID scan back in the day? A difficult situation could certainly work. 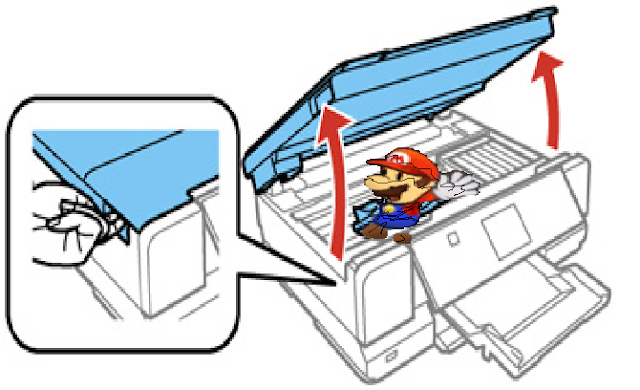 After all, the dude is trapped in the world of Mario & Luigi, he's paper, and he's in a jam since I'm not sure he can go back to his papery environment. So the actual paper itself is in a jam. The difficult situation. The paper man. Not to be confused with the paper boy. Could a paper jam refer to Paper Mario, Mario, and Luigi coming together to come up with paper prototypes for new videogame concepts to submit to Nintendo? I think that would be very interesting, and we could see if any of those folks have intuitive game design chops. I kind of doubt it, but you never know. Maybe it's not to Nintendo, but they'll make their own indie company! We know those plumbers are great at music sessions. That's the whole point of Mario Party 3's "The Beat Goes On" minigame which I find nostalgic. But from instruments made from paper? I'm not really sure how that works. There is grape jam, yeah. It's jam made from grapes. But paper jam? We do know that paper pulp is a thing. A very important thing at that, used for a variety of purposes. Would I call it jam? Not really. I think it just comes from the difficult situation and is meant to have a double-meaning of evoking the imagery of a crumpled piece of paper stuck in the scanner. It's such a pain to remove, especially if it's flimsy recycled paper that tears apart at any tug. So then you have a ripped paper in your hand while the jammed part is still stuck in the printer. Hopefully the game isn't as bad as that common office experience. Mario & Luigi: Paper Jam is actually out in places that aren't the western hemisphere, but this article was actually written (for the most part) before that was true. So let's pretend you're all in a spoiler-free world regarding this game and it hasn't come out yet anywhere. Please? I seem to have no interest in this game at all. Maybe the recent games that came out made me lose interest. Well I'm getting it either way, so when I do perhaps it'll show up in articles. People who played the European release say it has great writing (so it's better than Sticker Star) and the tutorials are skippable (so it avoids Dream Team's tutorial issues). I don't think he did either, but it makes for amazing imagery. I feel it refers to Paper Mario's world being jammed together with Mario & Luigi's. But then, I haven't played it either. Ohhhh, I didn't even consider jam as a verb. But then the title should be Mario & Luigi: Paper Jammed? Well, I guess I was thinking of it more as the jam has already happened. Hey, was I supposed to make a Space Jam reference in the article? It's out in Europe and Japan, yeah. It's out in North America on January 22nd. I actually felt I benefited from the delay. I felt I spend too much sometimes so a little spread in release dates between games helps me somewhat. I know that view is not sensitive to others who are ready and able to get the game already. That's impressive, especially since Bayonetta 2 is supposed to be out-of-print now! I've seen more people panicking that they won't be able to buy Bayonetta 2 or celebrating that they managed to find a copy, than people who actually can't find it. And a lot of, "I can't believe Bayonetta 2 is already out of print!" "What do you mean? I've seen it at three different stores!" conversations. I'm not necessarily saying it ISN'T out of print, but I've seen more paranoia than proof. Maybe it's all a rumour designed to get the game to sell more. Or the Bayonetta Smash DLC is getting people thinking that the physical copies will be difficult to find at a reasonable price due to people wanting to play her games to get to know her better. But the problem is that there are reports that it's currently difficult to find, not that it will be difficult to find. Think what you want about the future... it won't affect the present reality. Unless they're just making up rumours (lying) to begin with. Looking around, it does seem like it's out of stock or low stock for many retailers. So maybe it's a legitimate shortage after all. So it's maybe a miracle it was in the store's stock to begin with? This whole situation is a "Jam" to figure out. The whole naming issue could have been ignored if Nintendo wanted a TRUE crossover, say "Paper, Mario & Luigi". It's even a pun!! Of course, this doesn't look like its the case, but we're talking about the company that made their successor to the Wii's name rhyme with "Pee You". I wouldn't say it's necessarily an issue, and maybe it'll be clearer once we play it.